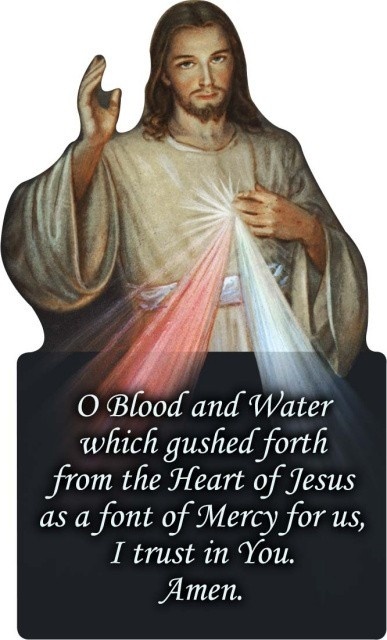 Divine Mercy: 796 (197) The Lord told me to say this chaplet for nine days before the Feast of Mercy. 796 (197) The Lord told me to say this chaplet for nine days before the Feast of Mercy. It is to begin on Good Friday. By this novena, I will grant every possible grace to souls. 797 When I was somewhat overcome by the fear that I was to be outside the community for so long a time alone, Jesus said to me,You will not be alone, because I am with you always and everywhere. Near to My Heart, fear nothing. I Myself am the cause of your departure. Know that My eyes follow every move of your heart with great attention. I am bringing you into seclusion so that I Myself may form your heart according to My future plans. What are you afraid of? If you are with Me, who will dare touch you? Nevertheless, I am very pleased that you confide your fears to Me, My daughter. Speak to Me about everything in a completely simple and human way; by this you will give Me great joy. I understand you because I am God-Man. (198) This simple language of your heart is more pleasing to Me than the hymns composed in My honor. Know, My daughter, that the simpler your speech is, the more you attract Me to yourself. And now, be at peace close to My Heart. Lay your pen aside and get ready to leave.